During a time when so many of us dream of dedicating our days to work that we’re passionate about, My Lit Box demonstrates that it’s possible to find a passion project that aligns with our values and interests. 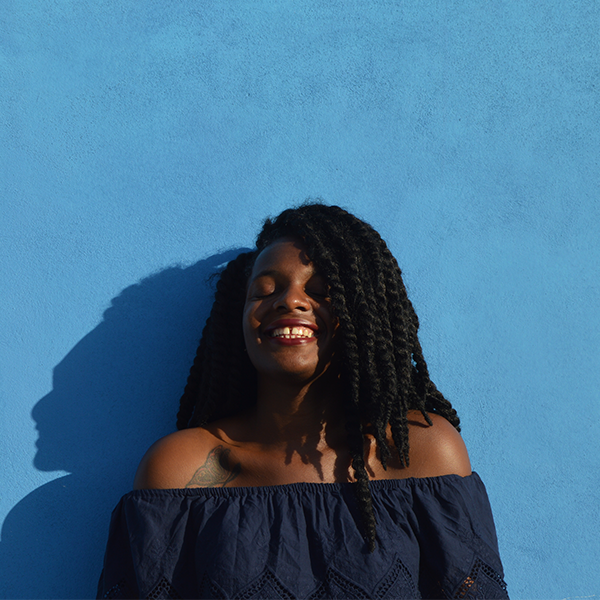 In this interview, Sanura Williams tells us about her subscription service that champions writers of color and tips for going after our own passion project, even if we still have a full-time job. What inspired you to start My Lit Box? I started My Lit Box because I wanted to focus my energy towards something I felt was impactful. After working in Corporate America for a few years, everything started to feel routine. I could’ve done my job with my eyes closed and the work I was doing wasn’t meaningful. So I began to think about what I was most passionate about and books came to me instantly.. Were there any particular writers of color who significantly impacted you and how? Toni Morrison will always hold a special place in my heart. Song of Solomon was the first book I was ever assigned in school that was written by a Black woman and when I look back I feel as if that was the moment everything shifted for me. What do you believe writers of color bring to their literature that is so important to highlight? The most valuable thing writers of color bring to literature are their own stories in their own voices. What was your day job before My Lit Box and how did you balance it with your passion project of championing writers of color? Although the dream is to one day focus all my attention solely on My Lit Box, as of right now I still have a full-time job. To balance my job and My Lit Box I’ve learned to take advantage of every hour of the day which usually means waking up an hour earlier to get some work done before work or passing on a Sunday brunch to do some research or schedule content for the coming week. I have to make some sacrifices but it’s always worth it. Are you a writer also? Or just a lover of great fiction? I’m not a writer, I just have a great love and appreciation for them and the stories they tell. How did the hashtag #LiteraryLA begin? What inspired its beginning? I wish I could take the credit for the creation of this hashtag but I didn’t create it and unfortunately, I don’t know it’s origins. But when I use it, it’s just me doing my part to add to Los Angeles’ literary scene and make it known that there are some amazing events geared towards readers &amp; writers taking place in our own backyard. How did you face all of the logistics of creating a profit driven company that’s heavy on shipping products to people? I’ve worked in the retail industry for years now, so luckily, I entered this undertaking with a little know how and knowledge under my belt but in addition to what I already knew, I did my research. I scoured the internet for as much information as I could find about ecommerce and the subscription box model and I read up on other business owners to see how they did it. In the end I took all my findings and crafted a way of doing business that worked for me and would lead to success. Your Instagram is so beautiful! What gave you the idea to create a book-driven Instagram page to support your company? I was lucky to find myself creating a book focused business when this amazing online community already existed called #bookstagram. Most of the books I come across are so beautiful, it’s hard to resist incorporating them into photos and our community really responds to it! What advice would you give to young people who want to start their own entrepreneurial company? It may sound simple but my best advice is to simply go for it. If you have an idea but someone beat you to it? Still go for it. If you don’t have a team to help you? Go it alone. If you’ve tried before and it didn’t work out? Assess, reset, try again. My Lit box is still in its early stages, do you envision it evolving in the future? I have such big dreams for My Lit Box so the question I ask myself is never really if it will evolve but rather what it will evolve into, and as far as I’m concerned, the sky’s the limit.